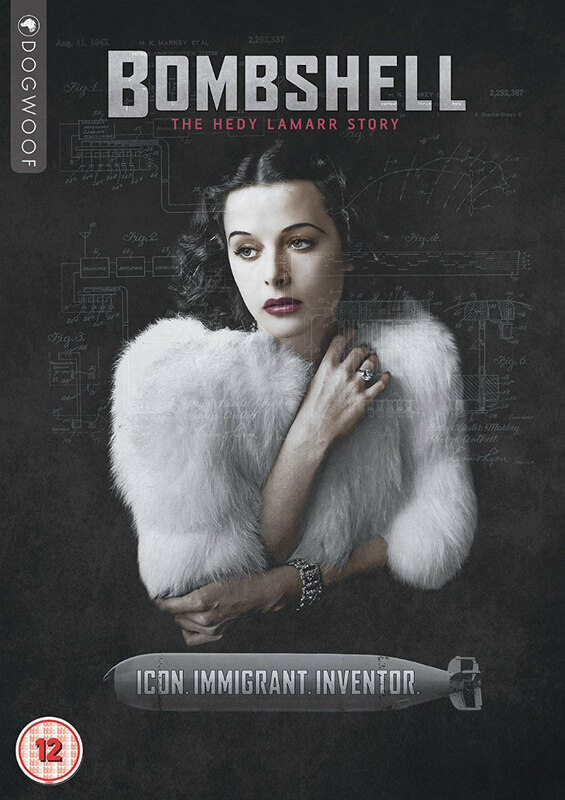 The story of actress and inventor Hedy Lamarr. "Any girl can be glamorous. All you have to do is stand still and look stupid." Alexandra Dean's documentary, Bombshell: The Hedy Lamarr Story, opens with that famous quote from its subject, Hedwig Eva Maria Kiesler, better known to movie lovers as Hedy Lamarr. Good looks can be a curse for a woman wishing to be taken seriously, and no story illustrates this quite like Lamarr's. Today she's arguably better known as an inventor than an actress, but as Bombshell illustrates, it took decades for Lamarr to receive such recognition, and she never saw a penny for an invention that has helped shaped the modern world, both in the home and on the battlefield. A secular Jew, Hedwig fled her first husband, an Austrian munitions mogul, when she learned he was in league with the Nazis, and sought refuge in London, where she was discovered by MGM head Louis B. Mayer, who changed her name to Hedy Lamarr. It wasn't long before Lamarr was one of Hollywood's hottest properties, inspiring the look of Snow White in Disney's 1937 film. Forced to work gruelling hours in what amounted to a form of well compensated, indentured servitude, Hollywood starlets were fed pills to keep them awake and put them to sleep, but Lamarr shunned sleeping pills, staying up all night working on inventions. She devised a dissolvable Coke cube that would turn a glass of water into a refreshing soft drink, and she helped Howard Hughes discover ways to make planes fly faster. When WWII broke out, Lamarr was incensed at the attacks carried out by Nazi U-boats on ships carrying fleeing Jews across the Atlantic, and so, in tandem with composer George Antheil, she set to work developing a technique known as frequency hopping, which in theory would allow torpedoes to be controlled by radio and thus evade German submarines. The US Navy turned down Lamarr and Antheil's patent, advising the former that her best way to serve the war would be to flash her legs for the troops on USC tours. Later, during the Cuban Missile Crisis, Lamarr noticed that the Navy was now employing frequency hopping, but as the patent had run out, she couldn't claim a cent. Today, frequency hopping is used in bluetooth and wi-fi technology. This crushed Lamarr, who became something of a recluse, but she carried on applying her scientific brain to her personal life, even advising plastic surgeons of a new method of performing facelifts when she decided her looks needed maintaining. In 1990, Forbes magazine published a cover story that exposed Lamarr's work in developing frequency hopping, and the phone interview conducted by Forbes provides the skeleton of Bombshell, allowing Lamarr to relate her remarkable life story from beyond the grave. Recounting her past achievements and setbacks, Lamarr's aged voice conveys pride at times, sorrow at other moments, but never regret, and it resounds with an unbroken spirit and dignity. In keeping with its theme of looking beyond surface gloss, Bombshell opts not for celebrity talking heads (aside from Mel Brooks, whose contributions amount to little more than letting us know how obsessed he was with Lamarr's looks as a young man), but for a mix of those who knew Lamarr personally and those who are experts in Hollywood and scientific history. As such it's a gripping story told by people worth listening to. Bombshell does a good job of making Lamarr's scientific achievements accessible for a lay audience, breaking down complex concepts like frequency hopping through the use of graphics and animations. A vast collection of photographs of Lamarr - many of which betray how utterly bored she was in the company of her Hollywood peers - has been assembled, along of course with clips of her notable screen roles. Dean's film tells a story that's equally inspiring and tragic, the tale of a genius whose talent was initially dismissed, only to later be stolen. Dean ends the film with Lamarr reading Kent M. Keith's poem 'The Paradoxical Commandments', and one line has particular poignancy in her case: "The biggest men and women with the biggest ideas can be shot down by the smallest men and women with the smallest minds. Think big anyway." 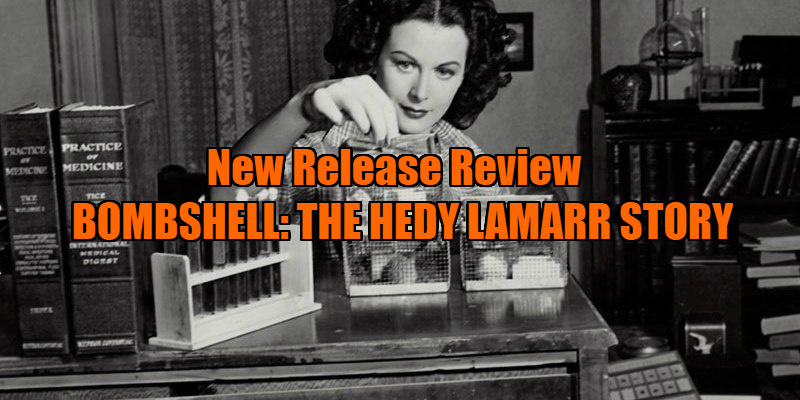 Bombshell: The Hedy Lamarr Story is on DVD/VOD April 23rd.